Founder of The Shepherd Centre, Dr Bruce Shepherd AM, was a pioneer of his time. 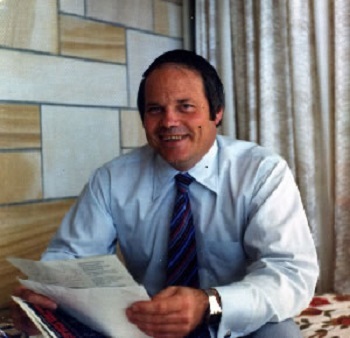 Along with his wife, the late Annette Shepherd, he paved the way or the incredible transformation of the lives of children with hearing loss in Australia. The couple worked tirelessly to ensure that children who were born deaf, could fully participate in a hearing world. This was done through speech and language therapy which they introduced to Australia from their findings in America. Dr Shepherd and his wife Annette were driven to ensure that being born deaf would not be a barrier to speech, language and social inclusion. Their incredible efforts created the strong foundations of The Shepherd Centre as we know it today. Over the past almost 50 years, The Shepherd Centre has provided life-changing therapy and support to over 2,000 children with hearing loss and their families. The Shepherd Centre is a world-leading children’s charity that, following the vision of Bruce and Annette, continues to offer life-changing services while undertaking pioneering research into therapies and support for children with hearing loss and their immediate and extended families. We thank you for considering a donation, in lieu of flowers, to be made in Dr Bruce Shepherd’s honour.